Having joined ILSC – New Delhi nearly 8 years ago, I have seen almost all 98 students’ progress through the Learn to Earn program. What a journey it has been! More often than not they begin as shy students, some progress really fast reaching intermediate stages of English in the blink of an eye. Others take a little longer to grow in confidence and English ability but by fostering their progress and tailoring our methods, it is a delight to witness as they flourish. Cohort (or group) 13 is full of energy and charisma and have been a pleasure to work with. I was their teacher in their first closed group session. I loved getting to know them and discovering their individual quirks and nuances as well as identifying their educational needs. I enjoy following their progress and addressing any educational issues they face so as to help them advance through the levels. Meet our students and hope you enjoy being a part of their life-changing journeys as much as I do! 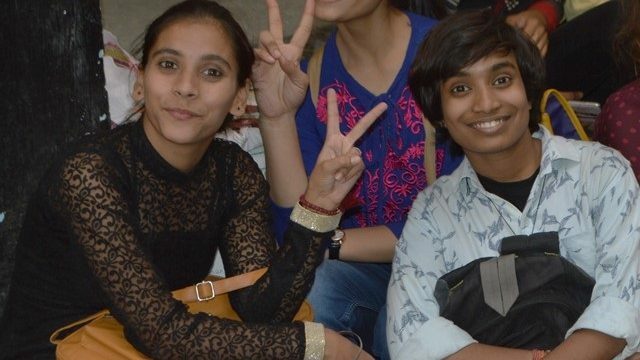 In such a short time, few students show such personal maturity and depth as Deepika. Although she is a quiet student and softly spoken, she speaks from the heart and eagerly participates in class. She is a meticulous learner whose grit and dedication to her studies is awe-inspiring. Deepika is interested in a career in website design, and in addition to her ILSC classes, she studies the subject. Deepika proved to be a strong student early on in the program. Her persistence is her strength and she works hard to excel. Sadhna started the program with no knowledge of English. She has demonstrated a resolute and sincere character, charming staff and teachers. She dreams of being self-sufficient and sees the LTE program as a life-line in this period of her life. Sadhna is blessed with creative talent. In her spare time, she makes wall hangings and decorations delicately made with beads and thread. Sadhna’s teachers have commented on her willingness to learn and active participation in all classroom activities. Cohort 13 bring an exciting energy to ILSC-New Delhi just like so many before them and just as others will continue to bring. I am proud to have been able to work with so many talented, ambitious young women and I look forward to working with more in the future. The LTE program is an empowering opportunity for so many young women, who without it would have never had the opportunity to learn English. I am thankful to the many schools of ILSC and Greystone College that make this program a success. As part of ILSC’s mission to provide transformation living and learning experiences to students around the world, we have introduced a new global initiative, entitled #ILSCGIVES, to ensure this goal reaches students far and wide. 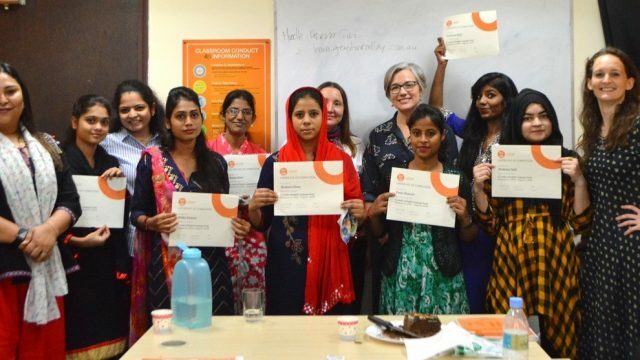 For every registration ILSC and Greystone College receive, we are committed to donate $1 to the Learn to Earn program, so that more women like Deepika, Sadhna and Aarti can have the opportunities to do great things. After this cohort has completed their program, over 100 women graduate from the LTE program – and with the exciting #ILSCGIVES initiative, the potential is endless. Want to be a part of making positive changes? Donate to the Learn to Earn Program here!